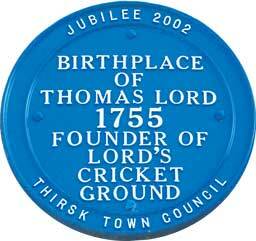 This is a walk around 20 historical sites in Thirsk and Sowerby marked by blue plaques. These record important buildings or people associated with our town. The walk takes anything up to 1½ hours. A leaflet with a map and historical notes on all 20 blue plaques is available in the Tourist Information Centre and downloadable here. The walk forms part of a larger interpretation scheme that documents the history of Thirsk and Sowerby for both visitors and residents. In addition to the blue plaques, there are 15 interpretation boards and are described in a separate leaflet, available from the Tourist Information Centre. Starting from the Tourist Information Centre the trail covers sites in and around the Market Place with others in Thirsk and Sowerby. Fingerposts help you get around. lt should take about 90 minutes to do the whole walk but this could be shortened by visiting only the town centre plaques. The walk is on the level and is suitable for all ages. On completion of the walk enjoy a refreshing drink in one of the many coffee shops or public houses – or maybe do a little shopping. This was once a single dwelling, timber-framed, thatched and with an earth floor. Go through the archway and look up; the old roof line is clearly visible. The yard gives a view of a typical Thirsk roofscape. This was the first of our blue plaques, unveiled in 2004 by Roger Knight of the MCC. A 250th anniversary match to be played in 2005 at Lord's cricket ground between Thirsk and West Meon (Lord’s burial place) was sadly rained off! One of the oldest in the street, this building still shows remnants of the original timber frame that would have supported panels of wattle and daub. The steeply-pitched roof was once thatched. Like all yards in Thirsk, the space behind the pub was lined with cottages, stables and outbuildings including a smithy, the landlord being both blacksmith and publican. Owned from the 15th century by the Earls of Derby, the Manor of Thirsk was sold in 1723 to a local landowner, Ralph Bell. This mansion probably stands on the site of the mediaeval Manor House; close by was an ancient dwelling, once the home of a priest who served the chantry of St. Anne but later used as a House of Correction for local offenders. Across the road, the trees behind the railings are the remnants of the ‘Marage’, an ornamental garden with ponds and waterfowl, later abandoned and now built over. This house was built in the early 19th century by the Rhodes family who owned a brewery across the road where the chimney remains as a landmark. The brewer himself lived in the house opposite; its stone facing is unique in Kirkgate. James Herriot (real name Alf Wight) who wrote ‘All Creatures Great and Small’ and other stories about his life as a country vet lived and worked here. The draper’s store owned by the Baker family was burnt down in 1864, to be replaced by the present Victorian block. The buildings on the Kirkgate side are clearly much older and mark an early encroachment on the Market Place. The alley retains the central gutter that once served as the only drain for nearby houses. In the fire that destroyed his family home John Gilbert Baker lost his books and botanical collection but the disaster prompted him to seek a post at Kew where he achieved an eminent position and high honours in his field of study. The plaque was unveiled in 2005 by Professor Simon Owens who, like his renowned predecessor, was then Keeper of the Herbarium at Kew. In the late 1880s five members of the Macaulay family came to Thirsk from Huddersfield. The brothers were keen cricketers and one, George senior, played as a professional. After his marriage, he and his wife moved to the Commercial Hotel on this site and it was here that George Gibson Macaulay was born in 1897. A pupil at Barnard Castle School, he played for Thirsk Cricket Club during the holidays and earned praise in the local press for his batting. After the death of his father, George's mother remarried and, as Mrs Ellen Lee, ran the Golden Fleece. This plaque was unveiled by Ray Wilkinson and Robin Smith of Yorkshire County Cricket Club in the presence of many former Yorkshire players and the Macaulay family. The coming of the Leeds-Thirsk line to the Town End terminus in 1848 encouraged the growth of light industry next to the railway. As well as the goods yard there were maltings supplying local breweries, a saw mill and then, in 1860, Bamlett’s agricultural engineering works. For over a century Bamlett’s mowing and reaping machines were sold round the world until the company went out of business in the 1980s. In the 18th and early 19th centuries the Justices of the Peace for the North Riding met in the main market towns. When the court was held in Thirsk the magistrates met in the upper room of the Market Hall until it was burnt down in 1834. From 1854 onwards local courts were held in the Police Station. It was not until 1885 that a separate Court House was built. It is now a multipurpose venue occupied by Rural Arts North Yorkshire, a charity promoting creative opportunities across the county; the building can house arts events and exhibitions and can be used for conferences and training courses. Thirsk was never incorporated as a Borough and so never had an official Town Hall. Although there were Assembly Rooms above the Savings Bank built in Castlegate in 1849, it was not until 1910 that a group of citizens formed a company to build a Club Room and Town Hall for the joint benefit of Thirsk and neighbouring Sowerby. The articles of the company show that the Club itself was intended to promote the Conservative and Unionist cause. In 1978 the Town Hall was bought by Thirsk Town Council and Sowerby Parish Council with assistance from Hambleton District Council. Mechanics’ Institutes were established from the 1820s onward in towns and cities to encourage self improvement among working men. This building provided committee-rooms, a library and reading room, together with a large upstairs hall for lectures. With the coming of compulsory schooling under the 1870 Education Act attendances at the Institute slowly declined and the movement had run its course by the end of the nineteenth century, when the premises were put to other uses. Joan Maynard, one of the towering figures of the radical, socialist left in British politics lived here from 1953 until her death in 1998. Born in Easingwold in 1921, Joan was raised in straitened circumstances on a smallholding near Ampleforth, where she attended the Elementary School. When she was 16 years old the family moved to Post Office Farm at Thornton-le-Street, near Thirsk, a small tenant farm combined with a sub-post office. In 1946 Joan was a founding member and first Branch Secretary of Thirsk Labour Party. A year later she joined the National Union of Agricultural Workers (NUAW). In 1950, on her appointment to the bench at the age of 29, she became the youngest magistrate in the North Riding of Yorkshire. Two years later she was elected for the first time to Thirsk Rural District Council as member for South Kilvington. After she and her parents moved to Sowerby she was appointed as Agent for the Thirsk and Malton Constituency Labour Party and over the following years became increasingly active and committed locally to both the NUAW and the Labour Party. Ultimately she achieved election as a Parish, District and County Councillor and as District Secretary of the NUAW. She was also local secretary of the Workers’ Educational Association (WEA). Becoming increasingly well known at national level, Joan served as a member of the National Executive Committee of the Labour Party from 1972-1987. She was elected as National Vice-President of the NUAW in 1966 and as Labour M.P. for Sheffield (Brightside) in 1974. She eventually retired from Parliament in 1987. Her greatest political achievement was the effective abolition, in 1977, of the tied cottage system, which for many years had been imposed on agricultural workers. She was also a tireless campaigner for the reunification of Ireland, for nuclear disarmament and for the improvement of the lives of working class people. The house was named after George Lansbury (1859-1940), a man they both admired, by Joan’s father, Matt Maynard. Lansbury, a lifelong socialist and pacifist, was leader of the Labour Party from 1931-1935 but came to prominence many years earlier in the East End of London as a fighter for social justice. Angela Lansbury, star of film, stage and television, was his grand-daughter. Born in 1786, William Lambert served as surgeon to the Grenadier Guards during the Peninsular War (1808 - 1814) before coming to Thirsk where he took over the practice of his father-in-law, Dr. Jonah Wasse. He died in 1856 and is buried in the churchyard of St. Mary’s where there is a memorial to his family in the chancel. In 1836 William Jackson Foggitt founded a chemist’s business here which was carried on for three generations until 1935 when it was bought by Boots, the company which trades here today, though the original premises were rebuilt in the 1960s. The Foggitts were active members of the local community as magistrates, Methodists and noted preachers. William Foggitt was a naturalist and friend of botanist John Gilbert Baker. Through an interest in meteorology the family built up a formidable body of weather observations which provided descendant Bill Foggitt with data for his celebrated appearances on television as Thirsk’s own weather prophet. The last years of the 18th century saw the start of the great coaching era when the building of good turnpike roads made rapid horse-drawn travel possible. Thirsk was a stage on the Royal Mail’s Edinburgh to London run via York. The Mail stopped here to change horses every afternoon at 4 o’clock while the ‘Express’, the ‘Highflyer’ and other famous coaches kept an equally punctual schedule. By custom, a widow was entitled to a life interest in one third of her husband’s estate; this was her ‘dower’ and wealthy families often provided a ‘dower house’ for her use. Before this building became an inn, it is thought to have been the dower house of the Bell family who bought the lordship of Thirsk in 1723 together with the mansion in Kirkgate. Between the inn yard and the Cod Beck there were ornamental grounds, later the site of a nursery garden which has given its name to the housing complex built on the site. In 1837 the state began registering all births, marriages and deaths. The records for each district were kept by a local Registrar and by the 1840s a place was needed to house the registers and to provide an office for him. In 1847 the Guardians of the Thirsk Union bought a plot of land here and built these premises. This was also the office of the Clerk to the Guardians and later the Rural District Council, formed in 1894. This building housed Thirsk Infants’ School founded in 1833 and paid for by public subscription. It was insisted that the school was undenominational, unlike those run by religious bodies. State education was not introduced until 1870. After the school closed in 1979 local people campaigned to move the public library from the old Assembly rooms in Castlegate to these premises. In 2015 the library moved from here to Meadowfields in Chapel Street. The Thirsk Infants’ School Trust still owns the building and makes grants to local organisations. These three dwellings are distinct in style from any other buildings in Thirsk. They were designed by a highly original Victorian architect, Edward Buckton Lamb (1805-1869), and were built to house employees of Lady Frankland Russell’s Thirkleby Park Estate, which owned much of the land in this part of the town. Lamb had already worked for her at Thirkleby, where he rebuilt All Saints Church in 1851 and St. Mary’s at Bagby a few years later. Before the passing of the Poor Law Act of 1834 each parish took responsibility for its own poor, but the system was inefficient. The new Act created ‘Unions’ grouping parishes together and requiring the provision of a Workhouse to shelter the old and infirm and to house the unemployed in return for work of a menial and repetitive nature designed to deter all but the most desperate from seeking parish assistance. The Thirsk Union Workhouse served some forty parishes and was planned for 120 paupers but later extended to hold 200 if need be. It was considered the best run in the Northern District. 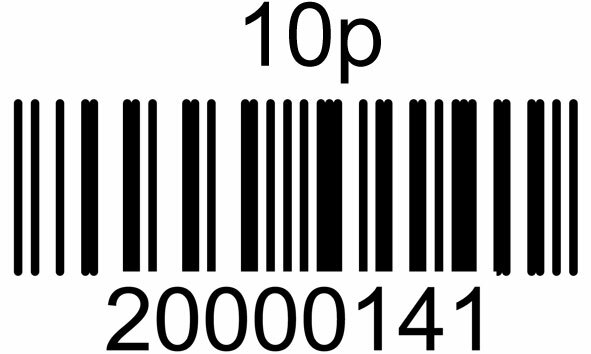 The workhouse system was not abolished until 1929. Born in Thirsk in 1841, Hannah Packer married Richard Carter in 1860 Her husband was appointed manager of Backhouse’s Bank, a Quaker concern, and the couple lived on the premises here until Richard died suddenly in 1873. Hannah then trained as a nurse, becoming matron first in Liverpool then in York. In 1882 she emigrated to Uruguay and worked for the rest of her life among mining families in one of the poorest regions of Uruguay. She is still revered in her adopted country and in 2008 the hospital in Minas de Corrales was renamed in her honour.